As the NBA becomes year-round Must-See TV, multi-media team/league reporters are becoming worth their weight in gold. 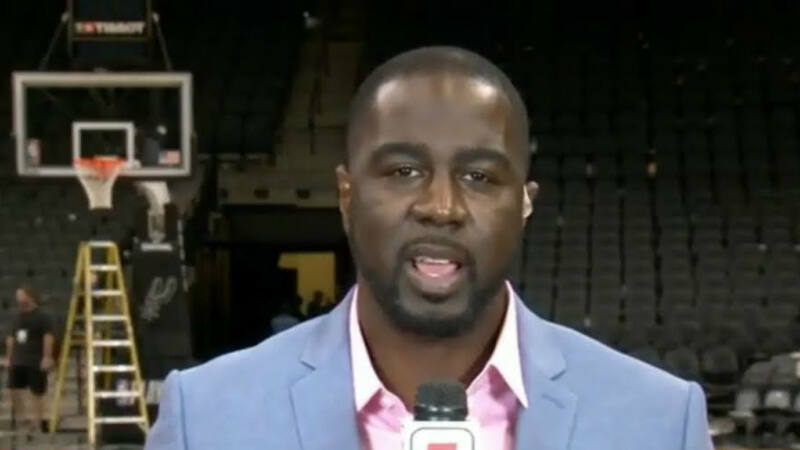 The next possible free agent on the horizon is ESPN’s NBA reporter Chris Haynes, sources tell Sporting News. Haynes just made headlines for his eye-opening interview with DeMar DeRozan, following DeRozan being traded from the Raptors to the Spurs for disgruntled superstar Kawhi Leonard. During the wide-ranging interview, the young NBA star confessed to his angst, confusion and disappointment over being traded by the Raptors. DeRozan told Haynes that Raptors management assured him he was not being traded. Haynes’ current contract with the Worldwide Leader is set to expire before the October tipoff of the 2018-2019 NBA regular season, sources said. ESPN wants to keep Haynes at the right price, sources tell Sporting News. But Haynes is expected to field multiple offers from TV, print and digital suitors. Mark Lepselter, Haynes’ agent at MAXX Sports & Entertainment, declined to comment. ESPN also declined to comment. Haynes is one of the few beat reporters to cover both Stephen Curry’s NBA champion Warriors and LeBron James’ Cavaliers. The Fresno, Calif., native covered James’ Cavaliers for the Cleveland Plain-Dealer from 2014 to 2016. Then he jumped to ESPN to cover Curry and the emerging Warriors dynasty in Oakland the past two years. The NBA insider has an intriguing back story. The Fresno State graduate was a security guard writing part time for SLAM when he landed his first full-time gig in Portland covering the Blazers for NBC Sports Northwest. I asked LeBron a question prior to Game 3 about that Game 1 film footage, and he gave a great response. Most players don’t like talking about games that happened two games ago, but because of my rapport with him he gave me a nice response. It’s all about what makes them tick. I know the guys, I know what makes them tick, I know what bothers them. I have to ask some tough questions, but there are ways of rephrasing to make sure you get what you want. And they know me. They know how I am, they know I’m not doing anything malicious, they know I’m not doing anything to make them look bad. They just have that rapport with me. It’s just a whole relationship dynamic. I think that’s what you have to have on a beat if you want to be successful. The upcoming Haynes negotiations are just the latest sports media news involving NBA reporters. Top dog Adrian Wojnarowski jumped to ESPN from his long-time home at Yahoo Sports in 2017. The contract for Woj’s Yahoo protege, Shams Charania, is also up in August, reports Andrew Marchand of the New York Post. Yahoo GM Geoff Reiss confirmed in a statement that Charania is leaving Yahoo. AA speculated he’ll end up at The Athletic, which recruited media writer Richard Deitsch of Sports Illustrated.